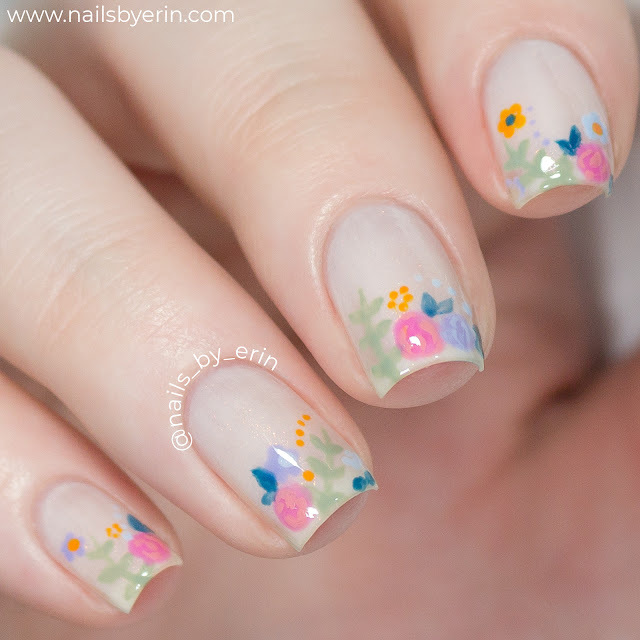 Today's nail art is perfect for spring: a simple floral design using China Glaze's new spring collection, the Arrangement! This is a gorgeous collection with such a diverse group of colors and I was so excited to receive it after eyeing it on social media for so long. Thank you, China Glaze! I Followed a Bob Ross Tutorial on My Nails! Today I have a nail design that I am very excited to share.... 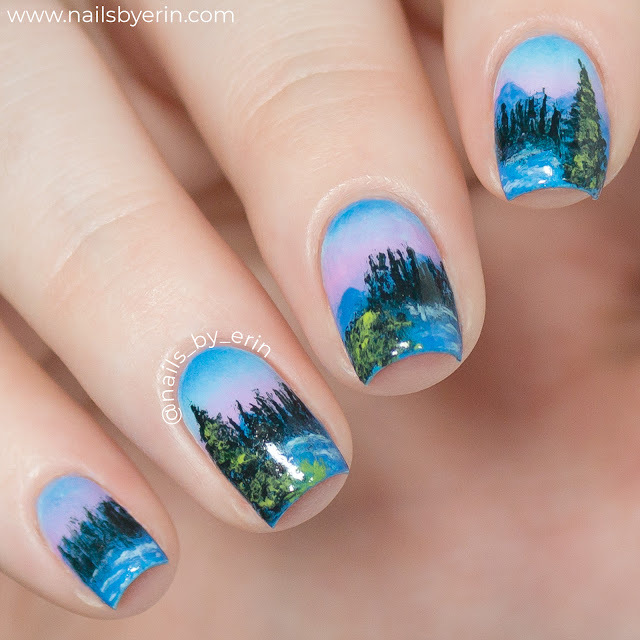 I tried to follow a Bob Ross tutorial on my nails! This trend has been going around YouTube with Rosanna Pansino, Jenna Marbles, and James Charles. Since some people have been trying to recreate his paintings on other surfaces and with other mediums, I decided to try and do one on my nails. The Bob Ross video I decided on was "Island in the Wilderness", which was relatively simple with some pine trees and a lake. Keep on reading to hear more about how I did these nails! 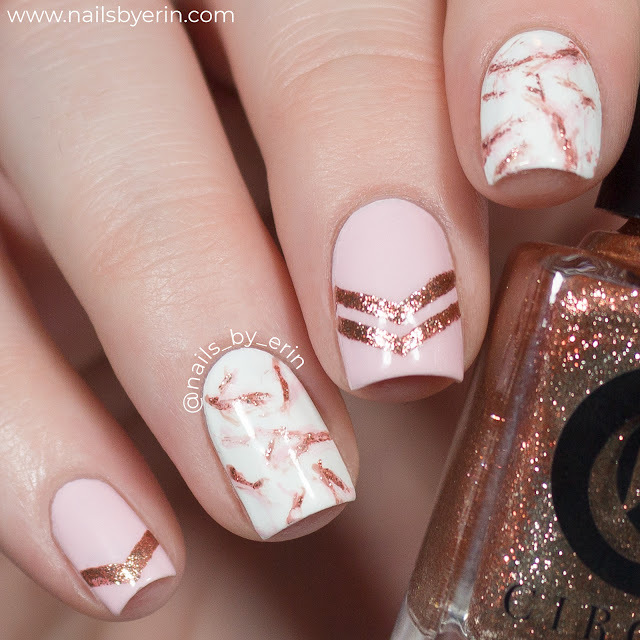 Today's nail art shouldn't be too much of a surprise, considering I've been on a real rose gold kick lately. I decided to re-attempt some rose gold marble nails using the same polishes I used in my Rose Gold Minnie Nails from the other month. Fun fact... I was originally not going to upload this nail art because I'm not 100% happy with how it came out. I feel like I'm really just not getting the marble nail look right. I've never been really happy with how mine end up looking. If any fellow nail artists have some tips, please feel free to leave them down below! But I decided to post these and hope you enjoy them anyway. 😊Let's get into the details! 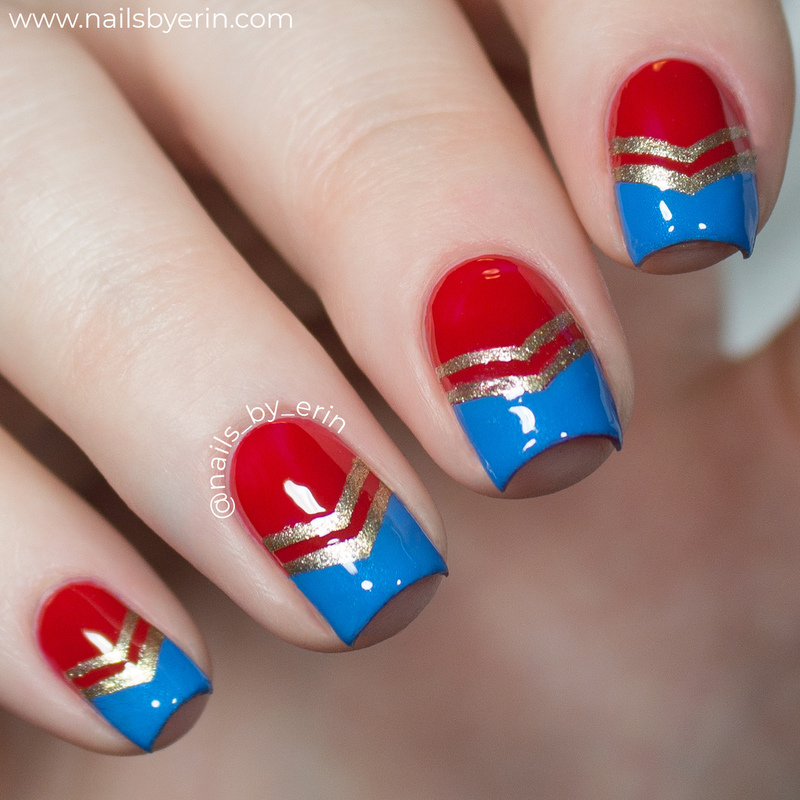 Today's nail art is inspired by the upcoming movie Captain Marvel! Since I'm a big fan of Marvel movies, I am really excited to see this one (especially since it is the first female-led Marvel superhero movie!) I've been anxiously awaiting this new movie since Infinity War last year. I'm really hoping that Captain Marvel gives us some clues as to what's to come in this year's Avengers Endgame! Since the red, blue, and gold pattern on Captain Marvel's suit is so simple and recognizable, I thought it would be the perfect pattern to recreate on my nails. Keep on reading to hear how I did this nail art and what polishes I used! Copyright © NailsByErin, all rights reserved. Simple theme. Powered by Blogger.